There's a strong cycling community the Roslindale neighborhood of Boston. There's also a lack of bike parking in the neighborhood center. 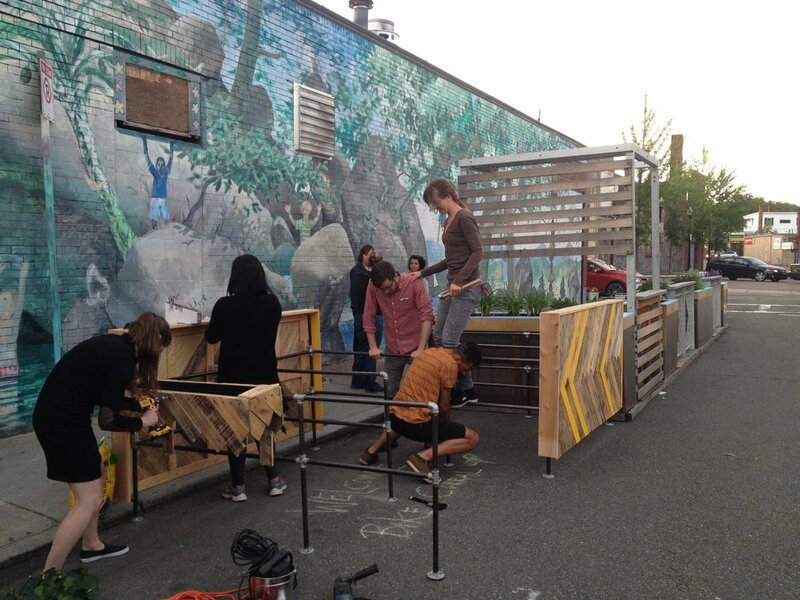 After analyzing all the options, our Street Ops group paired up with Roslindale Village Main Street and Fornax Bread Company, who were already hosting a lovely parklet. Before: Cohasset Street before the parklet and bike corral, with very little bike parking. After: So much more life and usefulness to this street. 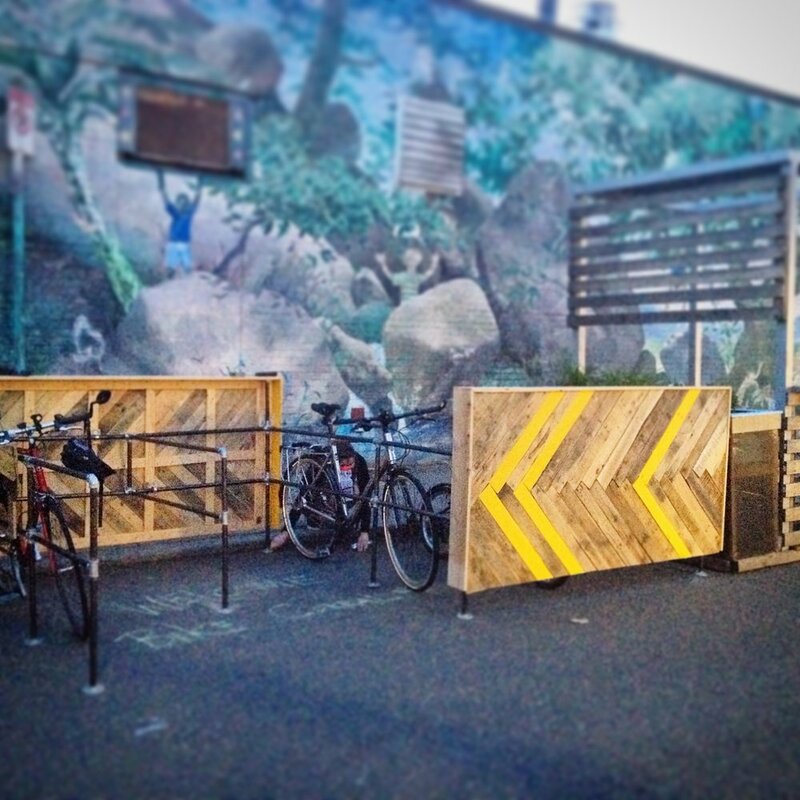 There's no parking allowed on this one-way street anyway, so this is a useful and perfect place for the bike corral. 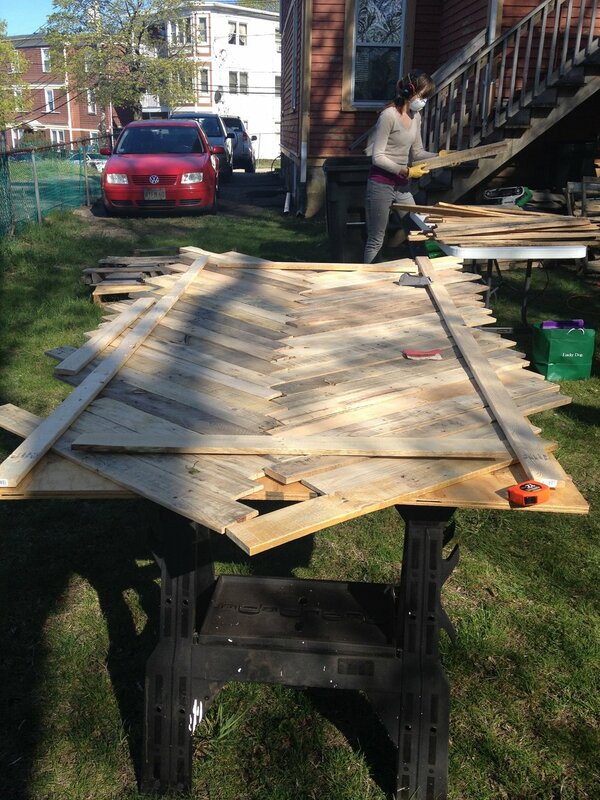 The Street Ops team won a Boston Society of Architects Foundation grant to help with the cost of materials for the corral. 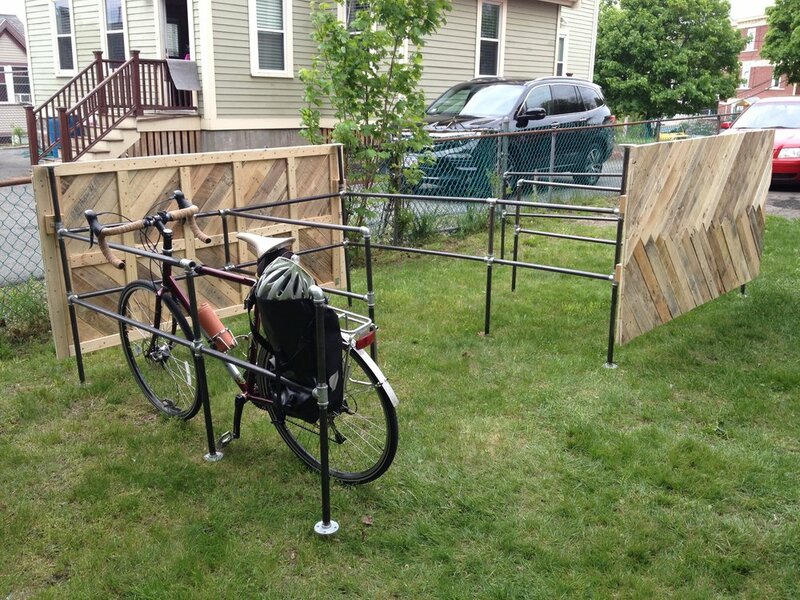 We built the corral over a series of weekends in a backyard. It was refreshing to be able to take our sketches and turn them into reality, learning about means and methods along the way. We learned that pavement is very porous, especially when you're trying to bolt something into it. We also designed it so it would fit in a truck and not have to be taken apart. But it's good that it's made of pieces, because that allowed a "breakaway" feature when a moving truck backed into it. The whole corral didn't go down, just 1/2 of one side. It also taught us that we needed higher visibility and a cone. It also turns out that the treads of the pipe are useless when they're bent. Good thing they are easily replaceable. The planter box is made of the left over scraps from the herringbone pattern we made on the main walls. I love when the design contributes to the "waste" being used. It was something we realized after looking at all the leftovers. Useful indeed!